The Full Moon on Friday June 9, 2017 is at 18° Sagittarius. The Full Moon June 2017 astrology indicates a turning point or mini crisis involving your relationships or finances. The June 2017 full moon continues a process of transformation you started in the last two weeks. This is a full moon to transform and heal the devastating pain from illness, broken hearts, broken homes and runaway financial debt. 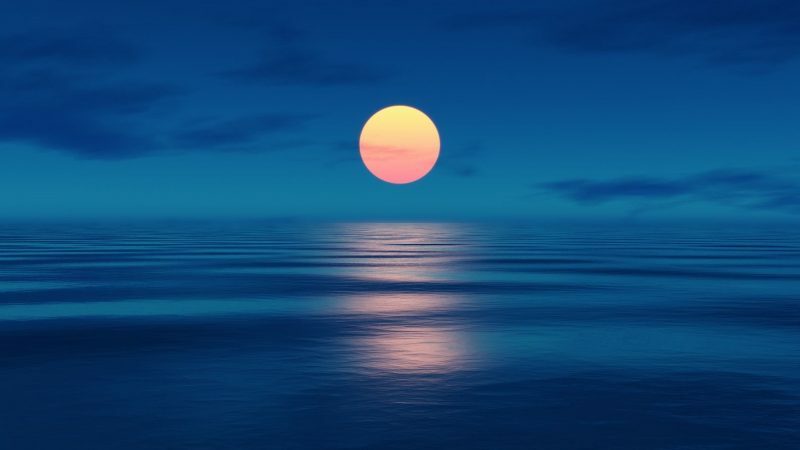 A full moon has a relationship to the previous new moon. Your May 25 new moon goals can now be fine-tuned or completed, it is harvest time. You can make emotional adjustments in response to those new goals. The full moon effect lasts for two weeks up to the next new moon, in this case the June 23 new moon. The June 9 full moon at 18°53′ Sagittarius Sign is in Ophiuchus Constellation. Sometimes called the 13th Sign of the Zodiac, Ophiuchus the Snake Holder gives passion and a blindly good heart. But also waste, seduction, hostility, unseen dangers and slander. As Asclepius the doctor he rules disease, medicine and poisoning. Fixed star Sabik at 18°12′ Sagittarius brings anxiety, lost energy, perversion and malice. With the Moon, this star also brings secrecy, jealousy and trouble through relatives. Full moon June 2017 should trigger a rise in infectious disease, epidemics or a possible pandemic. I expect that during Neptune retrograde 2017 there will be an increase in infectious diseases as a result of epidemics or possibly a pandemic affecting millions of people. Sun quincunx Pluto represents a turning point in life. With a powerful orb of only 0°02′, this aspect should make full moon June 2017 feel more like a crisis or threat than a turning point. An intense buildup of pressure could bring neurotic, obsessive or destructive behaviors. An event or person may trigger this tipping point by taking away your personal power. In relationships you could react by trying to control and manipulate, resulting in conflict and bruised egos. This is turn could lead to drugs abuse, further manipulation or even violence. This evolutionary process has karmic causes and implications. You may need to compromise to escape the dark sides of Pluto and Ophiuchus. A positive response would be the sublimation your ego and letting go, trusting in a higher power. You can heal with Ophiuchus and transform your life with Pluto. Moon sesquisquare Venus is minor aspect but significant because of the 0°41′ orb. Like Moon square Venus it will increase your need for pleasure through love and affection. However, the secrecy and jealousy from the fixed star and manipulation from Pluto will bring moodiness, self-indulgence and maybe some conflict. A healthy relationship may undergo some uncomfortable moments but continue evolving ever higher. Unsatisfying relationships may suffer from disloyalty or other forms of disrespect. Trying to satisfy your need for intimacy with a stranger would only cause problems because of carelessness and low standards. Moon conjunct Saturn is a major aspect but not strong because the orb is over six degrees. It is still worth mentioning because it fits the overall theme of struggling against the odds and battling negative influences. Hindrances and restrictions could impact on your home and family life. Some drama involving your home, parents, children or your partner would be very trying on your emotions and could lead to feelings of rejection and depression. Self-discipline and emotional maturity will help you through. Try to overcome feelings of guilt about the past. Exposing emotional vulnerabilities and opening up to loved ones will enable the nurturing and closer bonding you might need to overcome a crisis. Jupiter quincunx Neptune supports the tipping point theme. It suggests an imbalance involving health and spiritual belief. It will test your faith in someone or something. In order to grow and expand you have to dream and take risks. Now you will find the limits of what is possible in the current conditions. Venus retrograde square Saturn retrograde for most of May 2017 already placed a lot of strain on love relationships and on personal finances. The previous new moon on May 25 brought more tears or sudden events related to your love life or finances. There has been so much terrible suffering from illness, broken hearts, broken homes and runaway financial debt. The remedies have involved a process of transformation that started before the June 9 full moon. Aspects in the full moon June 2017 astrology chart show a turning point or mini crisis involving a relationship or finances. Ophiuchus can signal drug or alcohol poisoning, a health crisis or very nasty influence in your love life. Transforming your relationships or finances now will become more emotional and begin to impact more strongly on your home and family life. This is a full moon for transformation and healing. The major transformation caused by Saturn trine Uranus 2017 is still going strong. The North Node grand trine is still there from the May 25 new moon. Positive karma and soul evolution will come from the transformation and healing you complete in the next two weeks. If full moon June 2017 directly impacts your horoscope decan you can read about it in your monthly horoscope. For more detail about how it affects your natal chart see Full Moon Transits. Astrology has many different interpretations, you can either follow the textbook example of what something means which is very basic or you can follow someones interpretation, based on studies of people and relationships over the years. I find the best method is to read several, and see which matches your life. It never hurts to get a positive and negative opinion, to be prepared and know what to expect on both sides. I have not felt this level of deep disturbing irritation for a long time! I have a Moon sign in Scorpio.This astrological period really has a hold on me. I am feeling intense emotions that are unusual and after reading the text about the specific warnings and significance of this moon cycle I can see I am in sync but very uncomfortable.Good thing my sun sign is in Aquarius and my rising sign is in Taurus helping to temper my feelings by engaging in emotional intelligence and grounding in logic and reasoning. Dear Jamie, as always, I keep up-to-date with your posts which I find very revealing. I was wondering about the effect of this Full Moon tomorrow, though, so I thought you could make it more clear to me. While reading the monthly horoscope for my Sagittarius Decan 2, it says the full moon would have “an unsettling effect on my emotions”, whereas for other decans and signs it says it would have an “uplifting effect”. Why is it so? Thank you very much for your efforts. Good question Majankas. How a planet of full moon affects a particular decan depends on the angle it makes. Hard angles like 90 and 180 degrees are unsettling. In this case that would be Gemini, Virgo and Pisces. Soft angles are more uplifting or relaxing, like 60 and 120 degrees. Did anyone proof read this before posting? Sentences not making sense, words in the wrong place. I got a headache just trying to read it. If the person writing this can’t string a coherent sentence together, how in the world are they able to deduce with any accuracy what the planets are doing? Hi Nikki. This is a difficult question. A birthday full moon means this is a good time for new starts. Every solar return it is a good idea put the past behind you and make a new start. Moon trine Moon gives good intuition so go with your heart from the moment of the full moon. However, with such a major change I would also see how the previous and next eclipses aspect your chart. This is the final full moon of the current eclipse phase. Thanks Jamie, Do you personal readings? If yes, How do we make the payment and share the birth details ? Yes I just prefer not to advertise very often. I’m not so good with deadlines so if you don’t mind waiting 3 or 4 weeks: Personal Readings. I think Jamie gave good advice but the manipulations at work are likely due to Pluto making inconjunct (150) aspect to your Sun. If you did begin something new, it might seem OK, but by Christmas, when the aspect returns again quite fully, you might be in the same place. Wow….I’ve had the most horrible stuff happening. What can I do now. I have mistreated myself do badly, feel so rotten and have always been sensitive to the moon and nature. I fund myself in the city , its horrible, I am hurting myself. How canbi get over this.